Log into the system, and then access the Reports menu. Use the menu panels on the left side of the screen to select and generate a report. First click + to expand and show reports in the folder. Select the report you would like to view from the list of report types. Each report type contains a list of sub-reports accessed by expanding the folders. 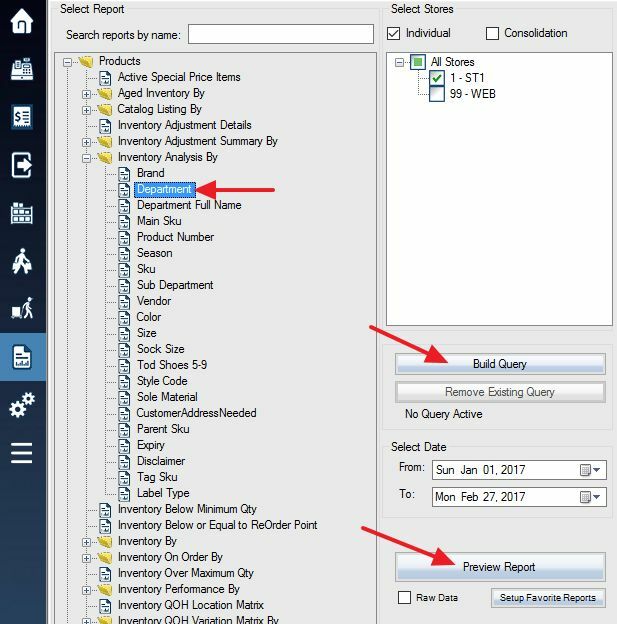 You can select an individual store or consolidate selected stores and select reporting date range.